T.M. Krishna at BSV Trust’s Dikshitar Akhandam – My Story – ISB and beyond !!! Song no. 2 (varnam) in the above list is composed by Ramaswami Dikshitar. T.M. 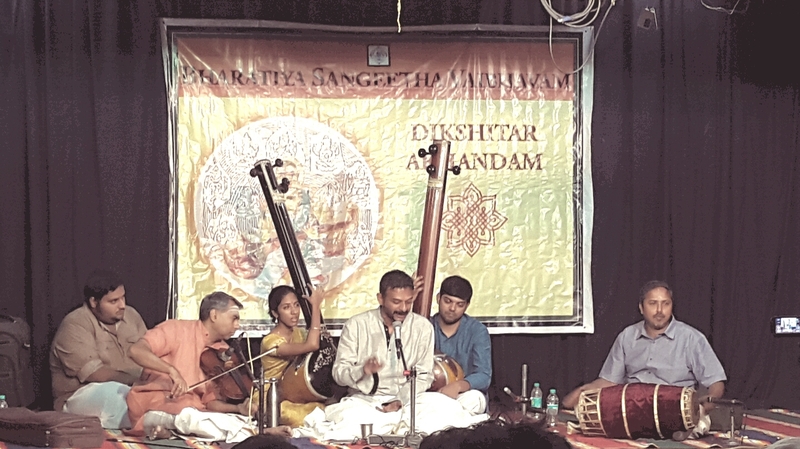 Krishna said the speciality of this varnam is that in the charanam, the first swaram is composed by Ramaswami Dikshitar while the next three are composed by Shyama Shastri, Chinnaswami Dikshitar and Muthuswami Dikshitar respectively.